Hidayah Sutera Travel and Tour operates regularly within the districts of Shah Alam and Klang. It also provides trips beyond Selangor’s borders to Johor, Alor Setar, Penang and more. 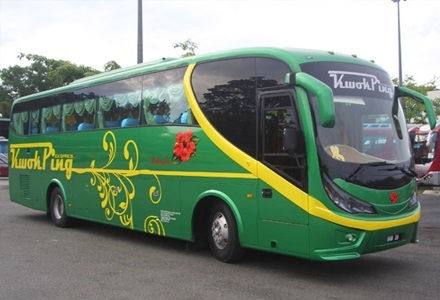 However, this company does not have their own fleet, hence, uses coaches from the likes of Era Mesra Express, KMK Star Coach Express, Kwok Ping Express and Shamisha Holidays Express. CatchThatBus offers online bus tickets to many routes covered by Hidayah Sutera Travel as well as seat availability features. You can book your bus ticket online from our website or via mobile app which can be downloaded for free on Google Play or App Store.